Home » BSD (Berkeley Software Distribution) , Google , Graphic Tools , Guides and Tutorials , Linux Distributions , Multimedia , Social Bookmarks » Top 10 blog posts for June 2013 from Linuxlandit & The Conqueror Penguin. Top 10 blog posts for June 2013 from Linuxlandit & The Conqueror Penguin. 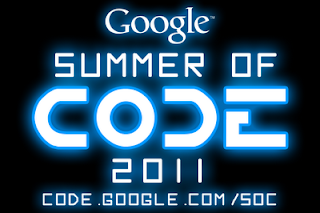 1.- Google Announces Summer of Code Accepted Projects. Google has announced the accepted projects list for its 2011 Google Summer of Code (GSOC) Program. 417 applications were reviewed and 175 open source projects were chosen and out of the 175 projects that were selected 50 of those are new to Google Summer of Code—a global program that offers student developers stipends to write code for various open source software projects. AbiWord,Apertium, Blender Foundation, Catroid Project, Climate Code Foundation,Debian Project, Electronic Frontier Foundation/The Tor Project, FreeBSD, GNOME Project, and Haiku are just a few of the projects that were accepted for GSOC 2011. Ryan Rix emailed the Fedora announce mailing list to let users know Fedora was one of the projects that had been selected" while Daniel Holbach informed Ubuntu users via his blog that Ubuntu had not been selected. 2.- Creating a Fancy Watch in Blender, Chapter I. Blender is a free and open-source 3D computer graphics software product used for creating animated films, visual effects, interactive 3D applications or video games. Blender's features include 3D modeling, UV unwrapping, texturing, rigging and skinning, fluid and smoke simulation, particle simulation, soft body simulation, animating, match moving, camera tracking, rendering, video editing and compositing. It also features a built-in game engine. Blender has a relatively small installation size, of about 70 megabytes for builds and 115 megabytes for official releases. Official versions of the software are released for GNU/Linux, Mac OS X, Microsoft Windows, and FreeBSD in both 32 and 64 bits. Though it is often distributed without extensive example scenes found in some other programs. This time the tutorial is a text tutorial. Orginally it was supposed to be a video tutorial but it was not to be. Also, for the first time, there’ll be two things at the bottom; the best pictures created with the tutorial, and also some inspirational pictures that go with the tutorial. 3.- Creating a Fancy Watch in Blender, Chapter VIII. 4.- Top 10 blog posts for May 2013 from Linuxlandit & The Conqueror Penguin. 5.- 50 best examples of select your language pages. Select Your Language Page is that single page you see when you arrived for the first time on a website like cocacola.com or nintendo.com, a pre-home page, with a list of options: language, country, region, etc, normally related to a big brand or name with presence all over the world or some many others sites with the idea of being seen in any country, like mini-sites or promotional sites even personal portfolios. There are many sites who redirect you automatically to a language by your physical location, and this could be easy in normal cases but in some cases this not the best option. 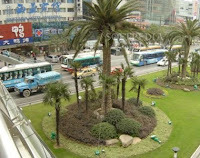 Let’s say you are from South America but you are in a pleasure travel by China and you don’t know a single word of Chinese, but for any reason you want to go to whateveryouwanttoputhere.com and… Taraaa, is in Chinese. The reason, if they track your location they can know where you are and intermediately redirect you to the Chinese version of the site… three seconds later you just quit the site because you don’t like the Chinese version. But if they have givento you a Select Your Language Page, you would have made just one more click and you’d be stay much longer on that site. That’s what we all want on our site keep our visitors. 6.- Social bookmarking is a method for Internet users to organize, store, manage and search for bookmarks of resources online. Social bookmarking is a method for Internet users to organize, store, manage and search for bookmarks of resources online. Unlike file sharing, the resources themselves aren't shared, merely bookmarks that reference them. Descriptions may be added to these bookmarks in the form of metadata, so users may understand the content of the resource without first needing to download it for themselves. Such descriptions may be free text comments, votes in favour of or against its quality, or tags that collectively or collaboratively become a folksonomy. Folksonomy is also called social tagging, "the process by which many users add metadata in the form of keywords to shared content". In a social bookmarking system, users save links to web pages that they want to remember and/or share. These bookmarks are usually public, and can be saved privately, shared only with specified people or groups, shared only inside certain networks, or another combination of public and private domains. The allowed people can usually view these bookmarks chronologically, by category or tags, or via a search engine. Most social bookmark services encourage users to organize their bookmarks with informal tags instead of the traditional browser-based system of folders, although some services feature categories/folders or a combination of folders and tags. They also enable viewing bookmarks associated with a chosen tag, and include information about the number of users who have bookmarked them. Some social bookmarking services also draw inferences from the relationship of tags to create clusters of tags or bookmarks. 7.- Autopano-SIFT is a software solution that will make the creation of panorama images more fun. Panorama images are wide-angle images that amaze people: you often feel being inside the scene when watching a good panorama image. Creating such images is easy and everybody with a digital camera and a bit of patience can do it. Autopano-SIFT is there to make the creation of panorama images more fun. Hobby panorama photography is the process of photographing two or more images from the same viewpoint, which share a part of their view. That is, they overlap, usually around 20%. With modern computer software it is possible to "stitch" this images together so they appear as one large image. With additional viewing software the experience of "looking around" can be simulated. The most popular opensource software for panorama creation is hugin. Autopano-SIFT is a helper program for use with hugin, to create control point information. The control point creation normally works through the manual work of the user, who tells the program exactly at which points the images share a common feature, much like ("the corner of the house is here in this picture, and there in that picture"). This process is called control point creation and takes a lot of time. With more images and multi-line panoramas (those that contain a second row of images) this is even more cumbersome, and one can spend a few hours just setting the control points. 8.- Lunar Linux is a source-based distribution for AMD systems with simple, yet powerful package management and system administration tools. Lunar is a source based Linux distribution with a unique package management system which builds each software package, or module, for the machine it is being installed on. Though it can take a while to do a complete Lunar installation it's worth it as it tends to be quite fast, once installed! In the beginning Lunar was a fork of Sorcerer GNU Linux (SGL). The fork occurred in late January to early February of 2002 and was originally made up of a small group of people who wanted to collaboratively develop and extend the Sorcerer technology. The original name for the project was Lunar-Penguin but the group decided to re-christen it Lunar Linux while the Lunar-Penguin name has become a sort of umbrella which the team could use if they decide to collaboratively develop something besides Lunar Linux. The installation disk installs a complete bootstrap development system first. After the user tells the Lunar manager which packages will be required, it automatically builds the software by downloading current source code and locally compiling an optimized package. On the downside, compiling software from scratch may be time-consuming and complicate the task of keeping the packages up to date. 9.- FreeNAS is a tiny FreeBSD-based operating system which provides free Network-Attached Storage (NAS) services (CIFS, FTP and NFS). 10.- Shotwell is an image organizer designed to provide personal photo management for the GNOME desktop environment. Shotwell is an image organizer designed to provide personal photo management for the GNOME desktop environment. In 2010 it replaced F-Spot as the standard image tool for several GNOME-based Linux distributions, including Fedora in version 13 and Ubuntu in its 10.10 Maverick Meerkat release. Shotwell can import photos and videos from a digital camera directly. Shotwell automatically groups photos and videos by date, and supports tagging. Its image editing features allow users to straighten, crop, eliminate red eye, and adjust levels and color balance. It also features an auto "enhance" option that will attempt to guess appropriate levels for the image. Shotwell allows users to publish their images and videos to Facebook, Flickr, Picasa Web Albums, Piwigo, and YouTube. The Yorba Foundation wrote Shotwell in the Vala programming language. It imports photos using the libgphoto2 library, similar to other image-organizers such as F-Spot and gThumb.